In light of recent events, there is a rather large shadow cast over the release of this film. In some sense, it will offer an emotional blanket and an opportunity to outpour the grief of anyone so inclined. This is, quite rightly, an emotive document. It raises an important question as to whether or not a film’s power is intensified or diminished by whatever the viewer brings to the experience; the conditions, the environment and the timing. With all of this in mind, it is hard not to let the death of Nelson Mandela shade this review as well. Having been seen before his passing, but being reviewed afterwards, my mind is thrown back and then forwards in a terrible quandary. And yet, I must cast the mist of subjective inclinations aside and attempt to meter an objective measure of judgement; to fix a critical eye on the feature’s success on its own terms, as a piece of cinematic entertainment (and maybe, perhaps, education). For those uninitiated, Long Walk To Freedom will no doubt illuminate as to the trials and tribulations faced by him, along with the personal tragedies that befell his loved ones too. For those who are more familiar with his life and times, there might be an unsatisfactory skirting of finer detail. What is touched upon is his womanising and his violence, alongside his infamous fortitude in the face of suffering. It is not mere hagiography therefore. There is a valiant attempt to try and produce a rounded picture. However, like a race horse emerging from the after-effects of a tranquiliser, things start clumsily and slowly. There is an inconsistency to the direction, and the narrative struggles to strike a satisfying balance. 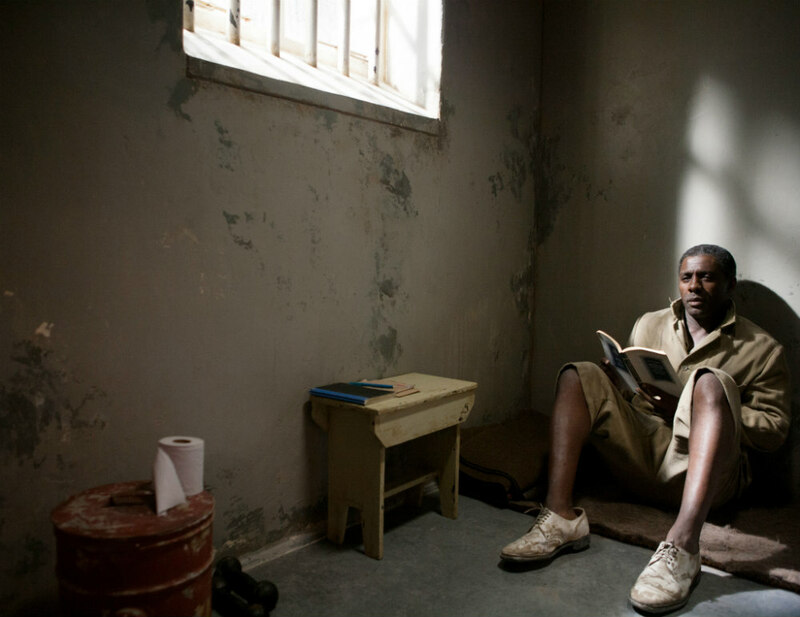 In terms of the performances, the usually reliable Elba is occasionally a bit creaky in the Mandela role. Inconsistency with the voice, the excessive movement and pace for an old man all perturb. He does manage a good line in pathos though. Naomie Harris, on the other hand, is consistently outstanding. She shines effervescently as Winnie Mandela, perfectly capturing both her indignant rage and the incandescence of her spirit. Many more performances of this calibre and she may usurp Campbell as the most famous Naomi(e). For those who like their epic dramas a-sweeping and a-swooping, this is a meeting of The Colour Purple and the Shawshank Redemption. It’s a pretty potent blend. If it’s manipulative as a piece, with thundering music instructing our emotion rather than enforcing it, then it doesn’t derail matters too much. The story is still affecting. This is a flawed but nevertheless engaging film that only an axe wielding maniac with bloodlust lingering in his eyes and his heart frozen in an arctic frost would fail to be warmed by. The film succeeds in stirring a contagious sympathy and empathy. To attempt to tell the complexities of any man in the condensed course of two and a half hours is an impossible task, let alone someone whose life was as eventful as Nelson Mandela’s. If the filmmakers have failed, they have done so admirably. It is a feature that drills home the sacrifice of time and of life in the name of an intangible notion called peace. By the end of the movie, you will no doubt be banging the peace seeker’s drum from the comfort of your chair. It may pale ludicrously in the shade of Mandela’s sacrifices and it may be passive, but don’t deny the warm glow that it affords. He truly was one-of-a-kind. Good review Greg. Elba and Harris were great, but it’s a shame that they’re the only ones carrying this movie at one point. You’d think that a Mandela biopic would be rich with enough material to make just about everything interesting, but instead, it comes off as just conventional and by-the-numbers. Thank you for commenting. I appreciate the feedback. I do know what you mean. I think they did an admirable job considering there was so much to cram in. I think, to do his life justice, there needs to be a mini series or something. 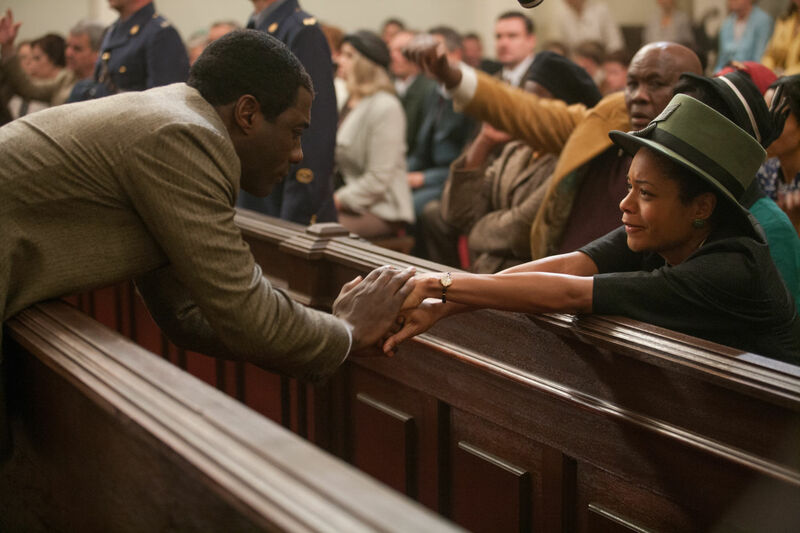 This entry was posted on 02/01/2014 by toomuchnoiseblog in Reviews and tagged anc, biopic, Film, Greg Wetherall, idris elba, justin chadwick, long walk to freedom, mandela, movie, naomie harris, nelson mandela, Release, Review, toomuchnoiseblog, UK.